FYI: Vada Pav is a delicious deep-fried, spiced potato ball served as a sandwich on a fluffy dinner roll style bun. 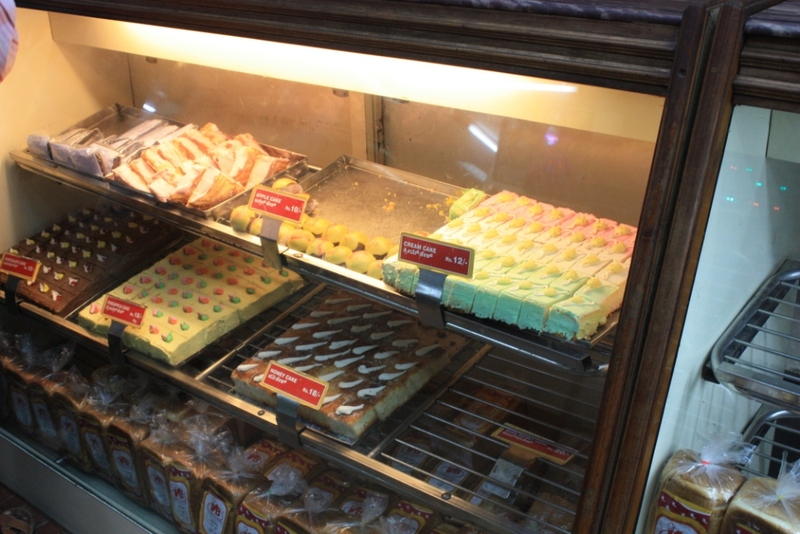 It’s a Maharashtra specialty. There’s a video below if you’d like to see how they’re made or to make your own. 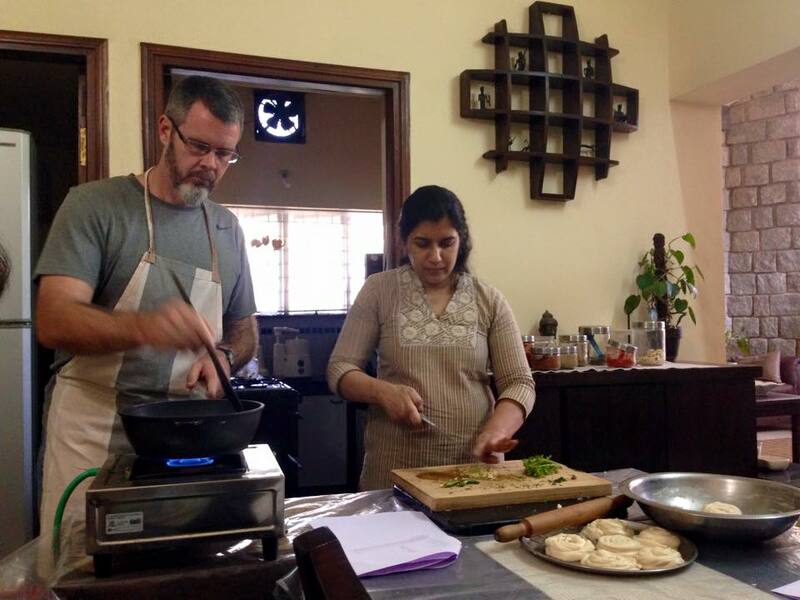 The thing about Indian food–with its penchant for pureed gravies–is that I find it delectable, but often have no idea what I’m eating or how it got to me looking, tasting, and smelling like it does. I attended with a group of friends, and we constituted a class unto ourselves. 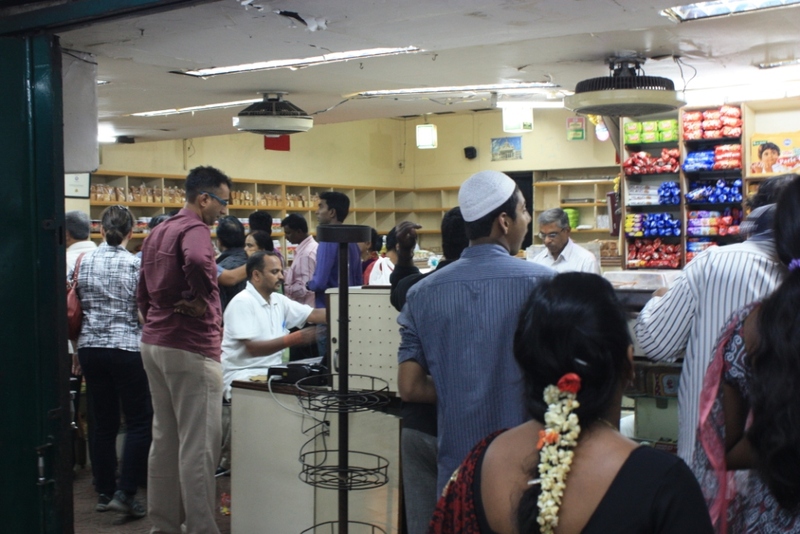 We, therefore, got a quick and dirty introduction to a number of common / typical Indian foods (veg and non-veg, and both North and South Indian.) 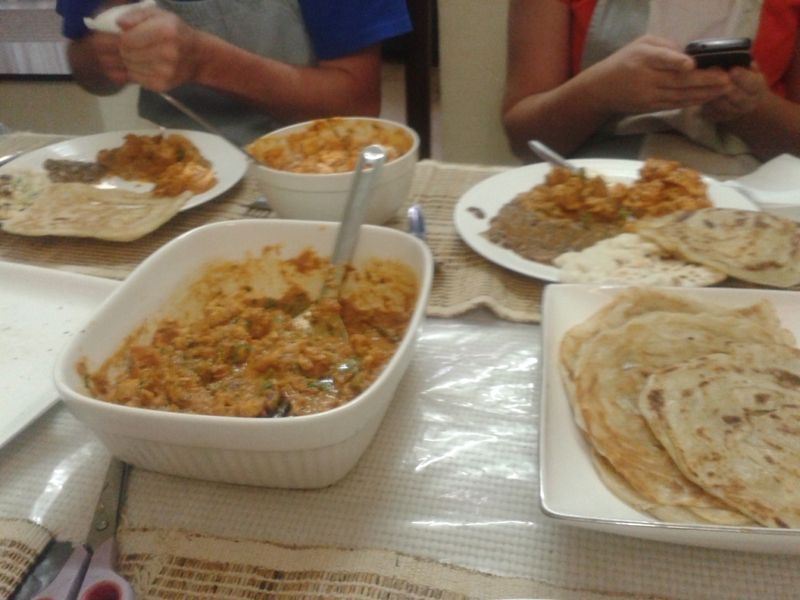 The menu we prepared consisted of two breads (kulcha and Malabar parota), dal makhani, paneer butter masala, and kadai chicken. 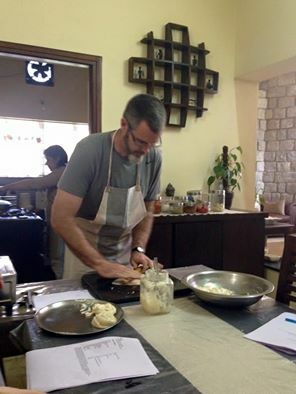 The class took 2.5 or 3 hours, and ended in a banquet of the foods we hand prepared. 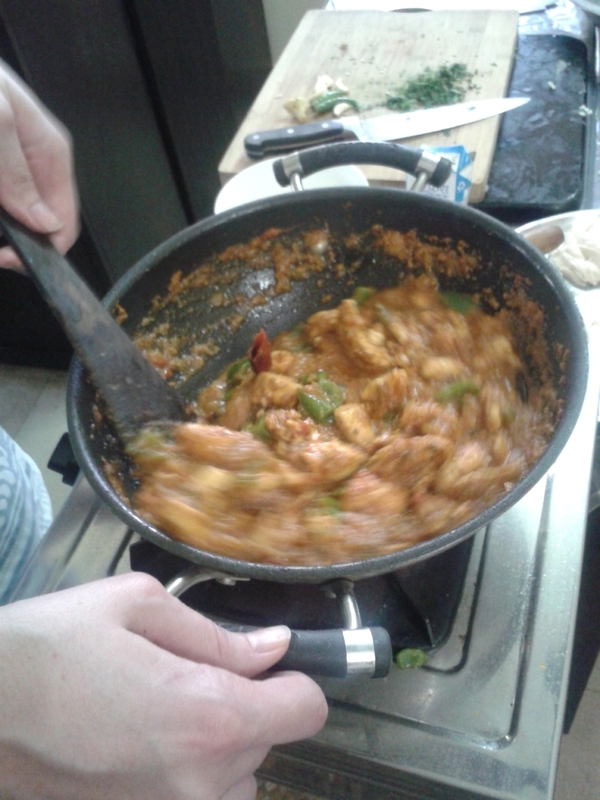 -“Kadai” in the name of dish just means that it’s wok-cooked. -A Kulcha is essentially a naan of a different thickness. 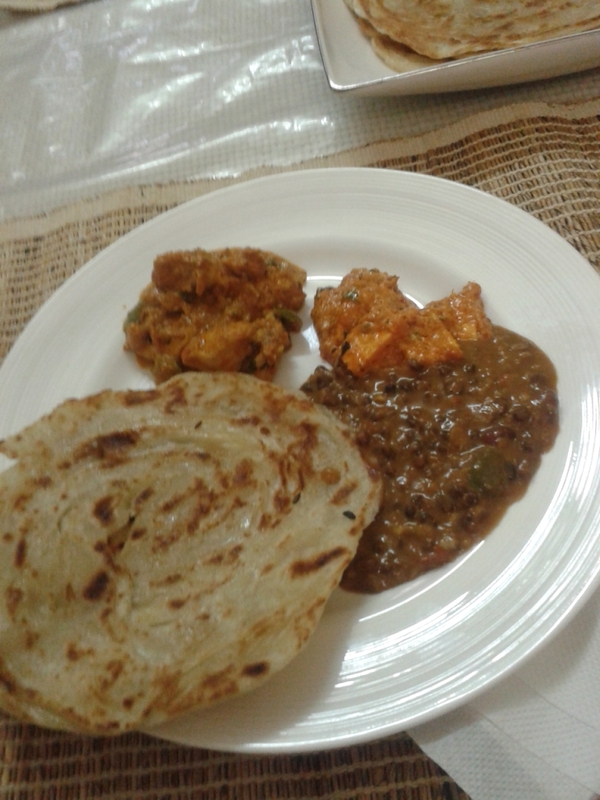 -Dal makhani requires a lot of prep, even if you have access to a pressure cooker. -There’s a lot of finely chopped onion in these gravies that often goes unnoticed. -One can cook with the pot upside-down. 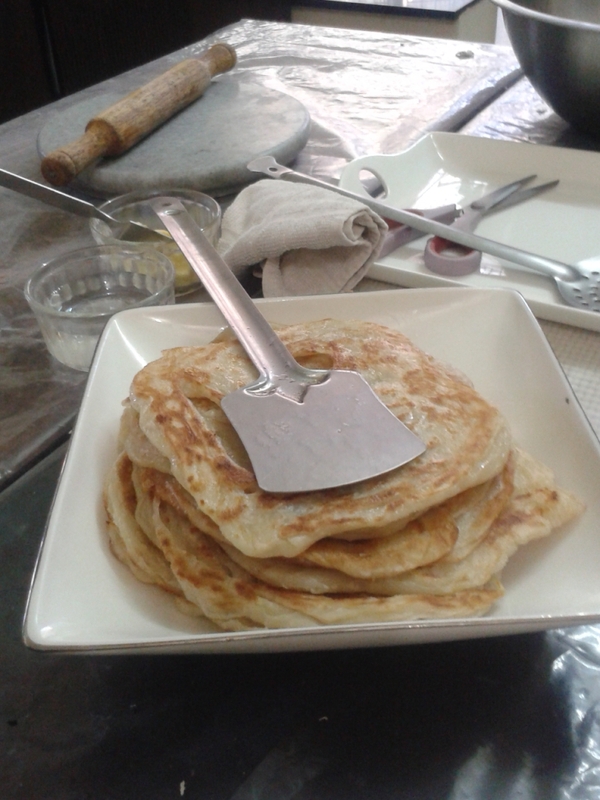 This is how we cooked Kulcha. 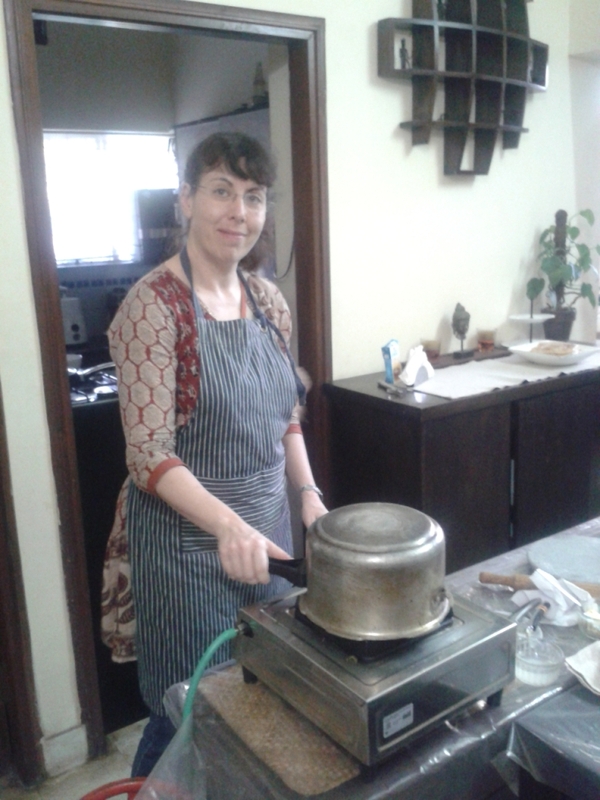 In a restaurant it would be cooked in a Tandoor oven, but at home you can cook it stuck to the bottom of a deep pot. 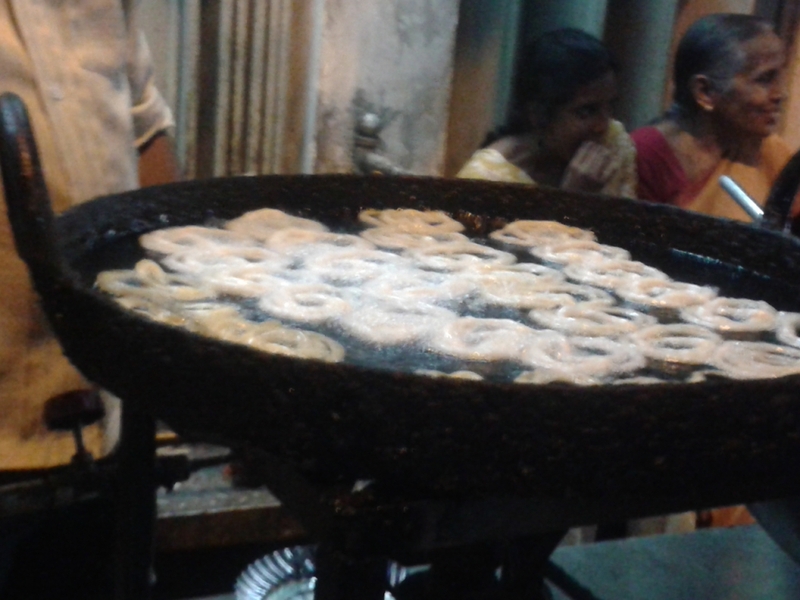 -Lastly, the key to a the flaky goodness of a Malabar parota is lots of fat… who’d have thought? Taken on April 12, 2014 in VVpuram, Bangalore. 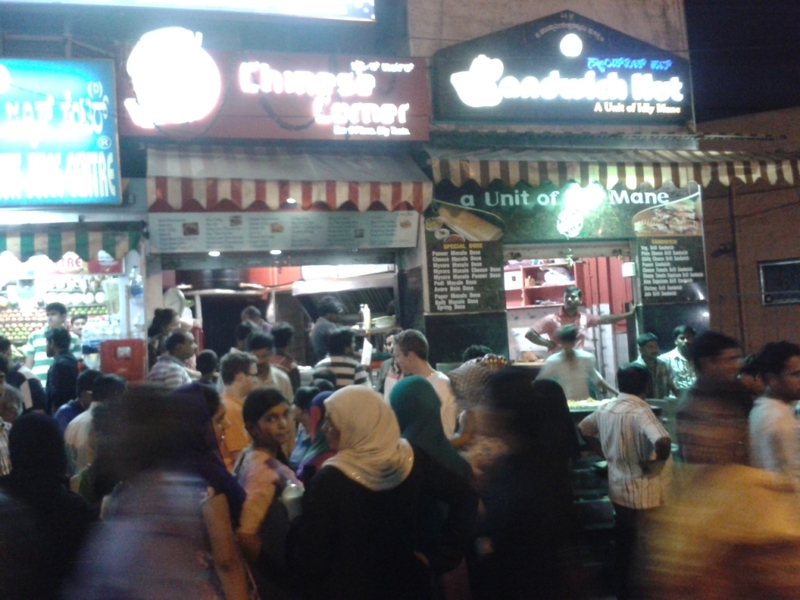 Made another trip to Bangalore’s Food Street in VVpuram (near Sajjan Rao Circle) for Rumali Roti and Mysore Masala Paneer Dosa. 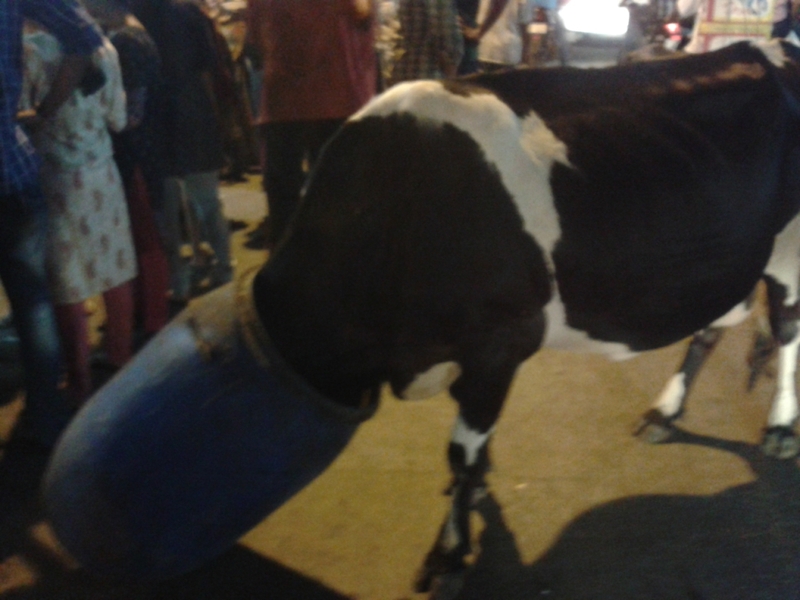 Both were excellent, and the street was packed with humans, bovines, canines, and felines all living harmoniously. This was taken at the Golden Mist coffee and tea plantation near Madikeri in Coorg. There are two kinds of coffee, arabica and robusta. 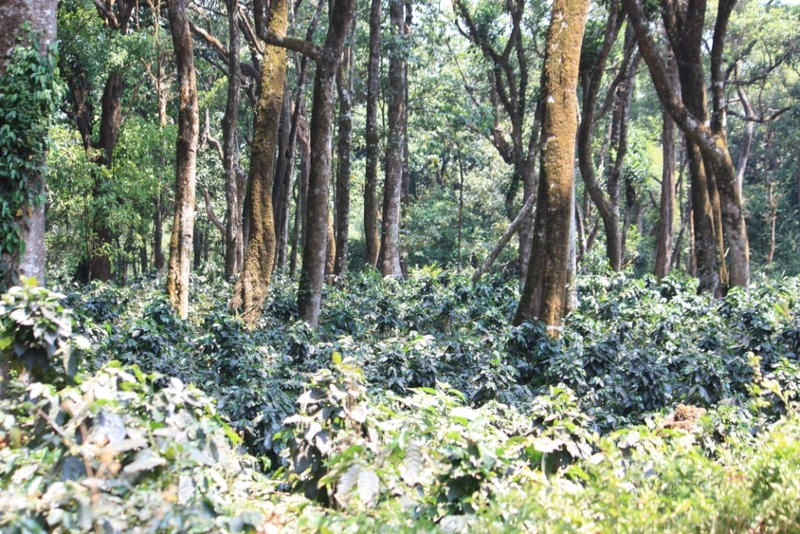 Arabica is the tastier variety, and the arabica tree requires more shade. Robusta is hardier, but is rarely consumed without being blended with arabica–unless one wants chest-hairs to grow on one’s chest hair. So wherein most agricultural pursuits eschew competing plants, coffee plantations need shade. Taken March 22, 2014 in Bangalore. V.B. 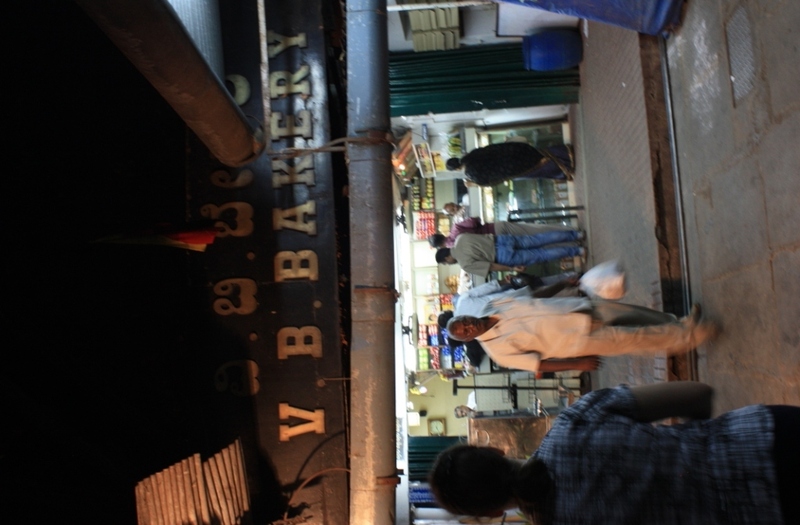 Bakery is a 60-year-old Bangalore institution located on Food Street (proper name: Old Market Road) in Visveswarapuram (a.k.a. VVpuram.) As you can see from the middle shot, it was thronged on Saturday night. Taken on March 16, 2014 in Bangalore. 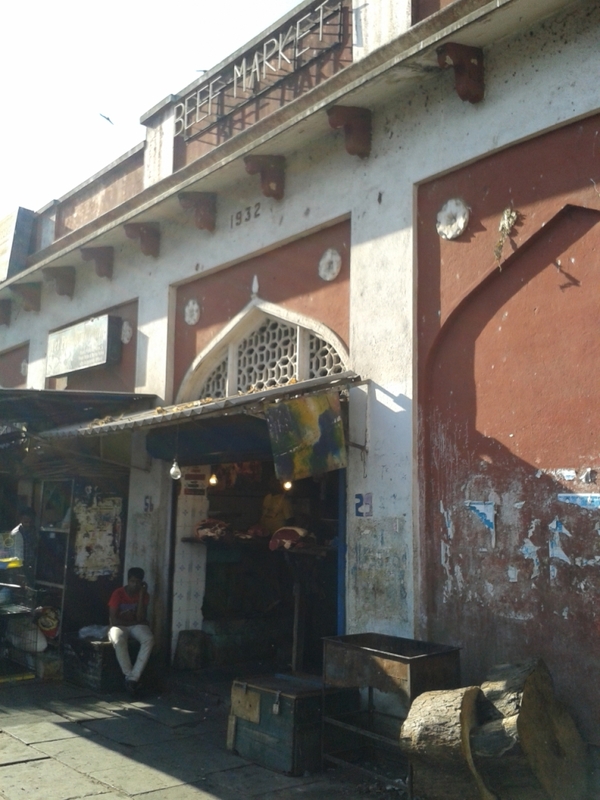 As one might expect, the beef trade is dominated by Muslim merchants. I couldn’t recommend this particular place. (I have a robust digestive system by Western standards, but eating a steak acquired here would probably kill me instantly.) While you could probably get an animal butchered right there–insuring the ultimate freshness–I suspect these are mostly the garbage-eating cows seen around the city. The fact that there is a pet store attached to the beef market and that carrion eaters are constantly circling overhead is enough for me to shop elsewhere. 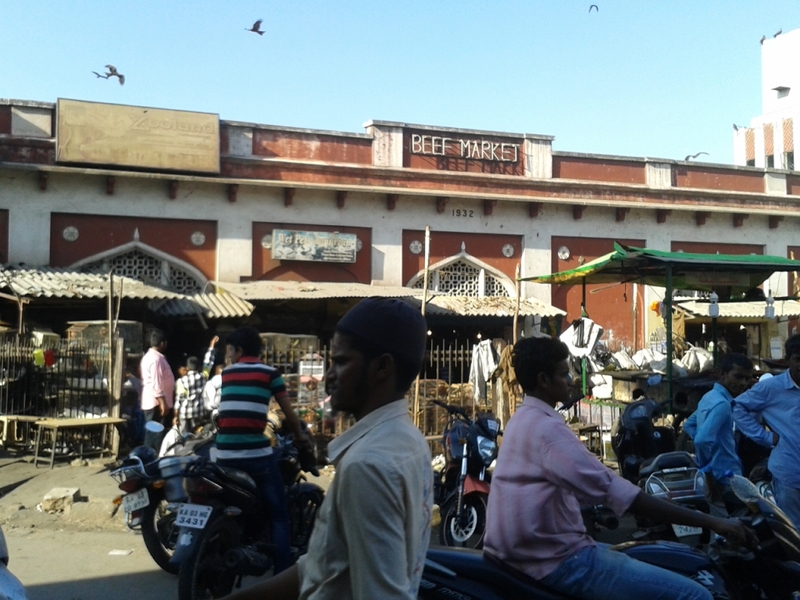 The Beef Market is located quite near the Russell Martket, near Commercial Street.